A cozy and comfortable yet clean sushi shop, recommended for couples and families with its counter and private booth seating arrangements. 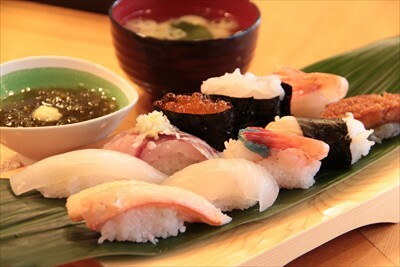 Using fish from Himi and Shinminato, the Omakase Nigiri (chef's choice) lunch set (1,500 Yen) is also very popular. Grilled items and a la carte dishes are also available, and you can keep your peace of mind with clear and well detailed billing.